Recently, people from the State Security who had summoned me to ‘have a tea’ said to me: ‘Us from the State Security are still quite civilised, but with this coming law that will regulate NGOs you will have to deal with the Public Security [i.e. the police]. You have to understand that their work methods are rather savage.’ Actually, this was also a pressure of kind, you can read it as some sort of well-intentioned warning. Article 53 of the Law states that ‘where foreign schools, hospitals, natural science and engineering technology research institutions or academic organisations carry out exchanges or co-operation with Mainland Chinese schools, hospitals, natural science and engineering technology research institutions or academic organisations, it is handled according to the relevant national provisions, unless these activities violate the principles listed in Article 5’. This provision–which was inserted only in the final version of the Law and is one of the very few concessions made by the legislators to the critics–indicates that certain forms of educational exchange could be exempted from the registration requirements imposed on foreign NGOs, and that other laws should govern these kinds of activities instead. Foreign NGOs’ supervision by the public security authorities is one of the most problematic aspects of the legislation. Currently, Chinese NGOs are supposed to register with the Ministry of Civil Affairs, but most of them–especially those that work in politically sensitive areas–are in fact refused registration and therefore are informally supervised by the State Security. Very few foreign NGOs are registered within China and, given their unclear legal status, their activities are informally monitored through their local partners. Giving control to the public security (rather than the Ministry of Civil Affairs) reflects the Law’s emphasis on security, rather than a willingness to facilitate meaningful co-operation. 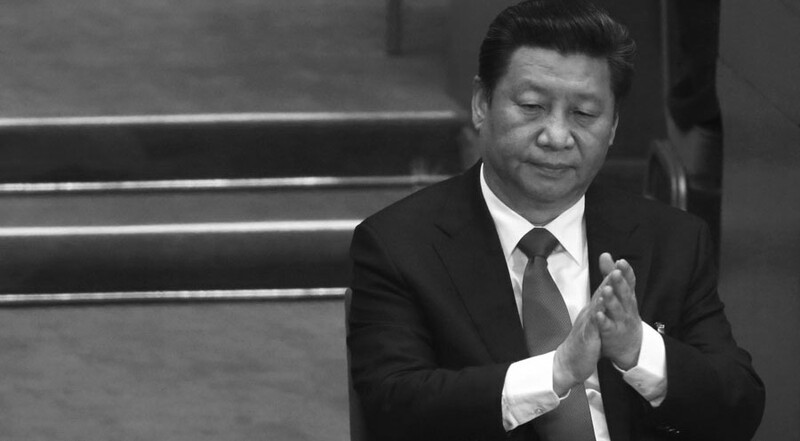 It signals that, according to Chinese authorities, foreign NGOs have the potential to threaten social stability and security and, for this reason, they should be kept under control by one of the most politically powerful ministries within China. It remains to be seen whether the MPS–which lacks any relevant experience in managing civil society organisations–actually has the capacity to manage NGOs. In order to carry out any activity in Mainland China, foreign NGOs should register and establish a representative office. The Law sets out the following five requirements that a foreign NGO should satisfy in order to register and establish a representative office within China: a) it should be legally established outside of Mainland China; b) it should be able to independently bear civil liability; c) the objectives and scope of activities defined in its organisational charter should be beneficial to the development of social welfare; d) it should have continuously carried out substantive activities outside of Mainland China for two or more years; e) other requirements provided by other laws and regulations (Art. 10). A foreign NGO that meets the above criteria should submit an application for registration within thirty days after having received consent by a Professional Supervisory Unit listed in a directory published by the public security organs (Arts. 11, 12). The application should include the following materials: a) a written application; b) supporting documents and materials certifying that the NGO complies with the requirement outlined in Art. 10; c) proof of identity, resumÃ© and materials or attestations showing proof of no criminal record for the proposed chief representative; d) materials showing the proposed premises for the representative office; e) materials showing the sources of capital; f) documents of consent from the professional supervisory unit; g) other documents and materials required by law or by administrative regulations. If the registration is granted, the foreign NGO representative office will obtain a registration certificate that it will use to register for taxes, get an official seal and establish an account at a bank in Mainland China (Art. 13). This process entails the establishment of a closer relationship between the Chinese partner organisation–which needs to be officially sanctioned, for instance the official trade union, a university, or an NGO with a regular registration as a social organisation–and the public security authorities. This will inevitably lead to a closer scrutiny of the local partner by the police organs. Given the fact that most Chinese NGOs, especially in politically sensitive fields, cannot register as social organisations, the restrictions imposed by Article 32 of the Law make it almost impossible for international entities to fund most local NGOs, severely curtailing the ability of local civil society organisations to access foreign funding and putting even more pressure on Chinese activists (as highlighted by the quote which we added at the beginning of this compendium). The parameters for renewing a one-year permit for temporary activity remain unclear and it is not clarified whether multiple temporary activities can be carried out either simultaneously or in subsequent years. There are two types of reports that a representative office has to submit annually to the Chinese authorities: an activity plan and an annual work report. First, the NGO representative office is required to submit to the Professional Supervisory Unit before the end of each calendar year an activity plan for the following year, including a description of project implementation, use of funds, and other similar content (Art. 19). Within ten days of approval, the representative office has to file the plan with the public security authorities (Art. 19). When variations of the activity plan are necessary, these must be promptly filed with the public security authorities (Art. 19). Second, foreign NGO representative offices are required to file annual work reports to Professional Supervisory Units before 31 January each year (Art. 31). These reports shall include content such as audited financial accounting reports, and reports on the situation of activities, as well as personnel or institutional changes (Art. 31). The Law explains that foreign NGOs are allowed to use the following funding: a) funds from lawful sources outside of Mainland China; b) interests on bank deposits within Mainland China; and c) other funds lawfully obtained within Mainland China (Art. 21). Foreign NGOs and their representative offices must not fundraise within Mainland China (Art. 21). These funds–which must be used only in accordance with the registered scope of operations (Art. 23)–must be deposited in the bank account that is recorded on the official registration documents or, in the case of temporary activities, the bank account of the Chinese partner unit (Art. 22). Any other strategy to receive funding from abroad is explicitly forbidden (Art. 22) and wire transfers will have to be used in accordance with China’s relevant provisions on regulation of foreign exchanges and payments (Art. 25). According to the Law, foreign NGO representative offices are required to implement China’s unified accounting system, hiring accountants with Chinese professional certifications to carry out their accounting (Art. 24). Mainland Chinese accounting firms are required to audit foreign NGOs’ financial accounting reports (Art. 24). Tax registration, tax declarations, and payment of taxes must be dealt with in accordance with the law (Art. 26), but it is explicitly stated that foreign NGO representative offices enjoy tax and other policy benefits according to the law (Art. 36). Besides including a number of very vague clauses that can be easily used to justify arbitrary actions by the public security authorities in the name of protecting social order and stability–for instance, the publication of any critical report can be easily considered as ‘dissemination of harmful information’–one problem that emerges from these provisions relates to the use of administrative detention for the personnel of foreign NGOs for up to fifteen days. It is well known that the public security authorities generally implement administrative detention without any judicial supervision and is in strict contrast with international fair trial standards. Chinoiresie.info is a collective website dedicated to the analysis of Chinese society supported by the Australian Centre on China in the World, ANU.